With the new year upon us, it is a time to reflect on 2017 and to set new goals and resolutions for the year to come. These resolutions we make for ourselves are often directed at bettering ourselves. Things like eating healthier, exercising more, or going on a life changing trip all are great goals to have for 2018, but what about having the goal to better our surroundings to help better ourselves? Deciding to make the investment and taking the time to update your home garden can have a great benefit to both yourself and the world around you, so here are 5 reasons why you should make it one of your resolutions for 2018. We are fortunate to live in a climate that has perfect weather year around. This means we have more freedom to spend our time outdoors instead of shut in the house. By transforming your front or back yard into a clean and comfortable space you can greatly increase the amount of living space at your home as well as get to spend more time in nature. Outdoor kitchens, patios surrounded by gardens, or a small bench tucked away in the flowers are all great spaces to relax or entertain guests, and can be made totally private from your neighbors! It is 2018 and things like climate change and drought are becoming more and more an everyday reality. One of the biggest things that is being affected by environmental changes, and that we greatly depend on, is water. We use water for almost everything, especially in our landscapes for our plants and lawns. By ditching that lawn and installing drought-tolerant and native plants in your garden you can reduce the amount of water needed for your yard and save a few dollars along the way. You can even install other water saving devices such as rainwater catchment barrels, rain gardens, and swales to not only reduce the amount of water needed to support your garden but also store it for those particularly dry months. Many of us like to keep up with the latest trends, wear fashionable clothes and have the newest technology, but did you know that here in California there is a new garden trend going around? Sustainable, native, zero-lawn landscapes are the new eye-catching trend that is happening all over the state, and especially in drought prone areas like here in SLO county! This new style of garden is not only great for the environment but if designed right can be incredibly beautiful to. The native plants that are used thrive in our climate and can create lush spaces with very little maintenance. So, get rid of that old outdated lawn and hedge row and install one of these new sustainable landscapes! 4.Being Surrounded by Nature is Good for You! With all of those other new years resolutions we have made to better ourselves why not add one more to the list that you know will stick around all year. Science has shown that being in nature is great for our health and can greatly reduce stress, boost the immune system, increase energy levels, and much more! While driving out to the nearest national or state park is a great way to soak up the outdoors, wouldn’t it be nice to have a little slice of nature right in your own back-yard? Creating your own retreat on your property means you have access to those healing benefits of nature any time of the day. 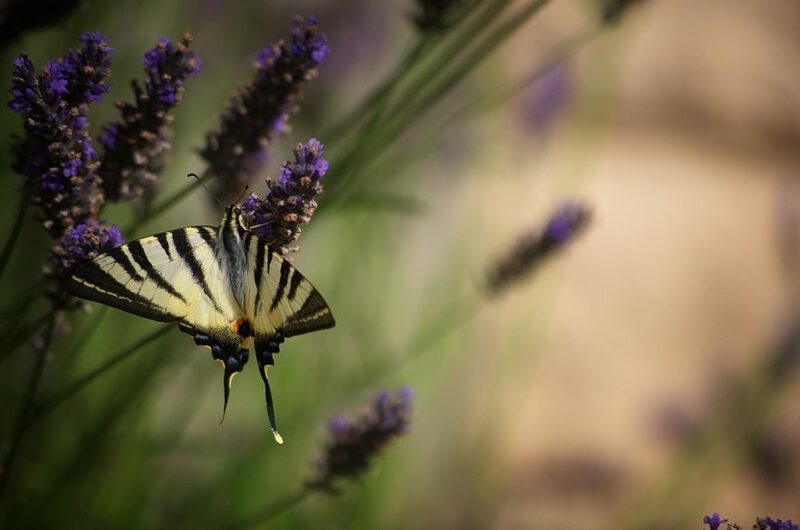 You could even plant medicinal herbs in your garden like Yerba Buena, White Sage, or Lavender to always have those home remedies at hand. 5.Save Money and Increase the Value of Your Home. 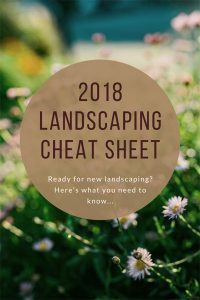 Unlike pricey interior remodels, landscaping can add value to your home that lasts and costs less. Redesigning your yard with a modern well-designed plan can greatly improve the curb appeal and increase the value of your home up to 15%. And since this new sustainable style of garden design is native and water wise you will start to save money on your utility bill as well! We hope this gives you a few ideas to think about for your outdoor space in 2018. If you need any more ideas or help with your project, feel free to contact us. We hope you have had a great holiday season and wish you the best year yet!